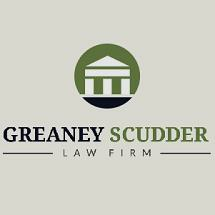 At Greaney Scudder Law Firm, our personal injury department is committed to providing exceptional legal representation to victims of motor vehicle accidents and professional malpractice. We offer realistic assessments of accident injury and medical malpractice claims. If you have suffered damages due to the negligence of a driver, doctor, dentist, or hospital, contact our personal injury attorneys in Kent, Washington. We offer free initial consultations with an experienced trial attorney. Our personal injury practice is led by founding partner and veteran trial attorney John J. Greaney. Over the last 25 years, Mr. Greaney has tried cases in most of Washington’s 39 counties. He has represented clients in hundreds of jury trials, mediations, and arbitrations. A highly referred personal injury attorney, he has been recognized by his peers in the Washington legal community, and was selected as a SuperLawyer® in 2005 and 2006. Mr. Greaney works with experienced personal injury attorney Karen Scudder and a skilled team of paralegals and personal injury professionals to help victims of negligence recover for damages and move on with their lives. We assist victims of life-changing, catastrophic personal injuries and family members in wrongful death lawsuits. We also provide a strong voice for victims of less severe accidents and pursue full recovery of medical expenses, lost wages, and compensation for pain and suffering. Regardless of the size of your claim, we commit our staff and resources to your case, providing personalized service and aggressive representation in and out of court. Our attorneys and staff return phone calls promptly. If victims have not received adequate medical attention, we direct them toward appropriate medical treatment.